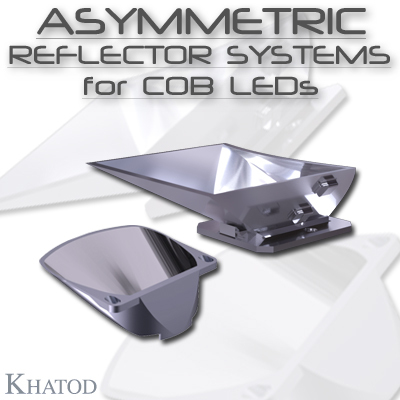 Engineered for most diverse general lighting application. 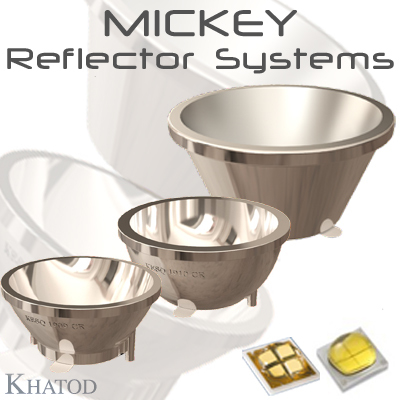 MICKEY is a single reflector equipped with Self-Adhesive Fixing. MICKEY maximizes the light output from the Multichip LEDs through its optics, so creating a perfect and high-efficient beam directed to the area to be illuminated. 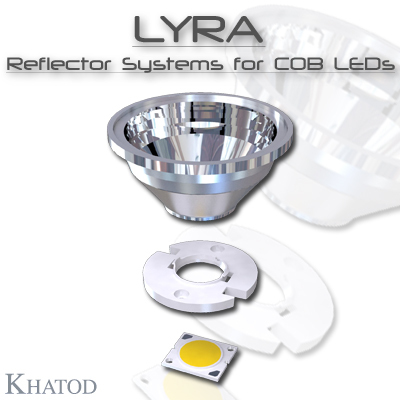 The optics are made of special PC able to withstand the high temperatures emitted by the Multichip LEDs. On request, MICKEY REFLECTORS are also available without Self-Adhesive Fixing. 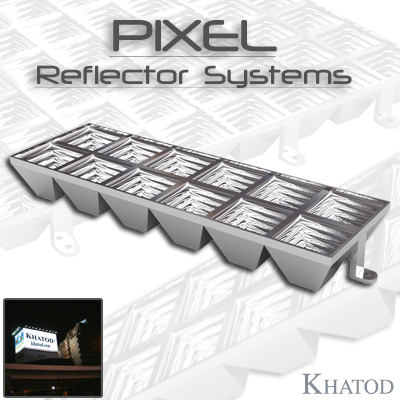 Modular Reflector Systems made of holders able to accommodate diverse reflectors. 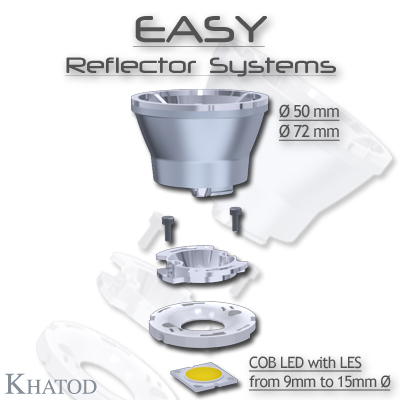 Holders: diverse configurations for the housing of 1 to 3-4-7-9-12-16 reflectors; Reflectors: 80°. Modularis covers virtually all kinds of General Lighting Applications. 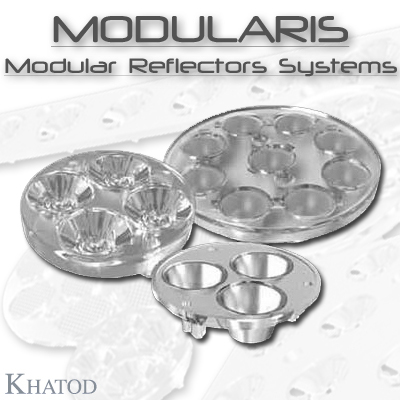 The modules - Holder+Reflectors - offer a "plug-and-play” functionality whereby MODULARIS is ready for use within seconds. 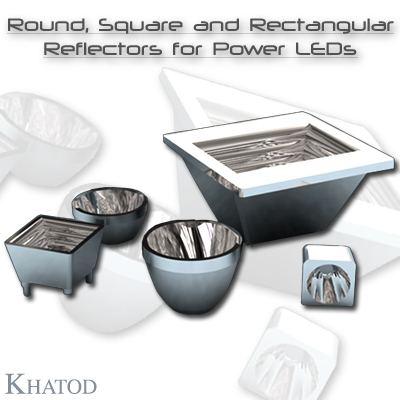 Optical Reflectors for Power LEDs created in metalized and embossed surface. 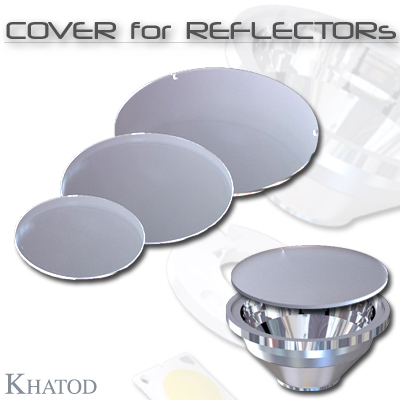 Reflectors, often combined with condenser lenses, are normally used in projection optical systems to maximize both illumination and light source collection efficiency. Those devices, resembling small satellite dishes with a small hole in the center, are capable to focus or project a light beam. 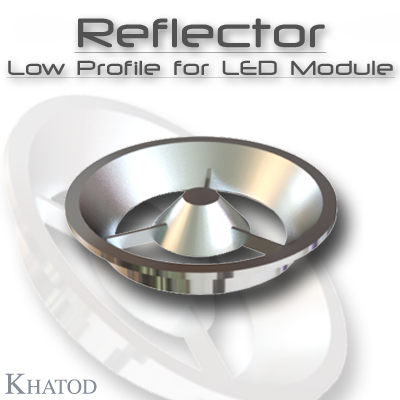 Reflectors are realized in three different standard shapes: parabolic, ellipsoidal and hyperbolic. They are differentiated by the location of their foci in relation to the axis, besides their distinctive shape.